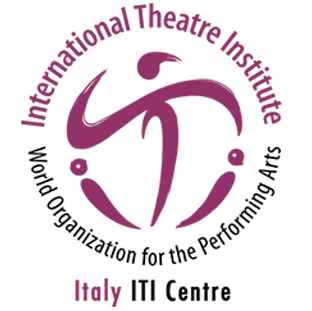 Every two to three years the members of members of the International Theatre Institute meet at the ITI World Congress, in a different city, on the invitation of the Centre of the country. The hosting Centre invites delegates of the members of ITI – the Centres and the Cooperating Members. Members of the ITI/UNESCO Network for Higher Education in the Performing Arts, theatre, dance, circus and music partner organizations of ITI, performing artists, educators and trainers, politicians, World Theatre Ambassadors as well as leaders of UNESCO, the UN and other international organizations are welcome to attend the Congress – any persons related with the performing arts and/or ITI may be invited as guests or as observers to the Congress. From 14 to 22 July 2017 Segovia in Spain will be the world capital for the performing arts in holding the 35th ITI World Congress. During a three-day Congress Prologue students are presenting the work at the Student Festival (14 to 16 July). During the main Congress (17 to 22 July), the delegates of ITI are discussing, coordinating and planning the next period of ITI, choosing their leaders, accepting the future plans and setting an accent on what is most important for the development of their organization. A multitude of workshops, presentations, keynote speeches and performances are enriching the Congress for all participants. Part of the Congress is the International Dance Symposium, intended to strengthen dance in ITI. An Open Space is dedicated to the artistic nature of ITI. An ITI Centres Speed Dating should bring the main members of ITI, the Centres, in close collaboration all over the world. A strong accent has been set on Young Practitioners. All the Congress partners are working together to make this event a most memorable event.